Most employers are expected to be prudent when dishing out bonuses this year as unstable economic conditions continue to keep businesses on their toes. But some banking and legal staff might find themselves having done very nicely when they open their bonus envelopes, as well as staff working for firms that have enjoyed a strong year, human resource consultants say. Still, across the economy, the watchword is caution. 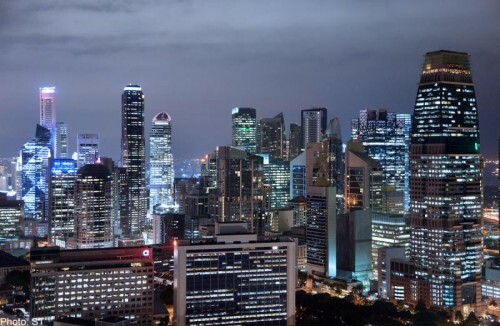 Ms Linda Teo, country manager at ManpowerGroup Singapore, said: "Although the United States economy is showing signs of recovery, the optimism has yet to spill over to local businesses. In addition, the euro zone is still facing challenges in reviving its flagging economy. "Asia is also facing various risks, with a sharper than envisaged slowdown and financial sector vulnerabilities in China, less effective Abenomics as well as political tensions and uncertainty." Abenomics refers to the radical monetary policy adopted by Japanese Prime Minister Shinzo Abe to try and kick-start the country's ailing economy. Mr Ronald Lee, managing director of PrimeStaff Management Service, said 2014 was a poor year for Singapore businesses. And this year, apart from the harsher economic environment, firms face restrictions in hiring foreign workers amid economic restructuring and related challenges such as higher labour costs and stubbornly low productivity. He said manufacturing, which makes up about a third of the economy, continues to struggle. Ms Teo said: "The downsides have put even more pressure on Singapore's business conditions. Unless the company has done exceptionally well in 2014, most employers would take a more prudent approach to giving bonuses." On the whole, she said, the bonus is expected to be an average of one month for most employees. Mr Lee expects bonuses to be 0.8 to 1.5 months for white-collar administrative and support staff across all industries. Jobs that do not generate revenue tend to have more subdued bonuses and lower overall compensation packages, Ms Teo noted. These roles include the administrative, human resource, IT and sales support functions. "Unlike the revenue-generating employees, the non-revenue- generating employees do not have tangible sale figures to substantiate the bonus payout," said Ms Teo. "Although the non-revenue- generating employees' performances can be assessed, their key performance indicators are usually harder to quantify." Page Group noted that bonuses in the banking sector would generally be weak. Mr Andrew Norton, regional managing director for South-east Asia at Page Group, said: "Having said that, the local banks have given healthy bonuses, given the relatively good bank performances." Mr Chris Mead, regional director of Hays in Singapore, said private banking continues to lead the way in terms of bonuses, and most private banks are expected to pay out higher bonuses than investment banks. Corporate banking has managed to sustain stable growth and staff in this sector should see relatively good bonuses, he said. Mr Mead also said local banks remain the strongest performing in terms of net profits. Bonuses from local banks are expected to be in the range of two to six months for most functions. "Some regional or Asian banks have experienced growth in the last couple of years and performance should stay strong in 2014, with bonuses expected to be in the range of two to five months." For local names such as United Overseas Bank, bonuses are generally pegged to the bank's performance and the employees' contribution to the business. Bonuses in law vary between in-house roles, international practices and mid-level or local practices, said Mr Mead. He added: "In-house bonuses tend to be more similar to mid-level or local firms' and the on-target bonus is anything between three and six months of annual salary. "Large international practices have higher base salaries but bonuses are typically only two weeks to one month of an employee's yearly salary." Mr Norton said bonuses in private practice are still likely to be good and would not vary much from previous years. Depending on the specific practice, he said, bonuses may be four to six months. "Singapore is still a highly reputable legal hub and the Big Four firms have established themselves as market leaders. "Arbitration is an area which has done well and will seemingly continue to," he said. The Big Four are Allen & Gledhill, Drew & Napier, Rajah & Tann and WongPartnership. Hays noted growth in intellectual property, technology media and telecommunications, energy and oil and gas, with respect to law. Mr Mead said: "Shipping is not doing as well. However, the large shipping practices remain stable. There has also been a lot of China-focused work." Although there were not that many initial public offerings (IPOs) last year, the Republic saw robust transaction and capital market activities, which could explain the positive outlook on bonuses for the banks and law firms. Consultant American Appraisal noted in a December report that there were 346 mergers and acquisitions (M&As) worth US$50.7 billion (S$67.5 billion) last year, compared with US$36 billion in 2013 and US$27 billion in 2012. Mr Mead said: "We haven't seen a huge change in bonus payouts with respect to law. We have seen growth in departments requiring candidates with M&A and IPO experience. "Some firms have actually had a record number of IPOs. However, M&A activity is more stable," he said.